Prayer (Namaz) is the second pillar of Islam and the most significant act of worship which has to be performed by every sane male and female Muslim five times a day. Keeping in mind the importance of this supreme act of worship and to make Muslim Ummah aware about the timings of each Prayer (Namaz) the Tauqeet and I.T department of Dawat-e-Islami have put in all their efforts and with the grace of Allah عَزَّ وَجَلَّ has launched the Prayer Times mobile application. 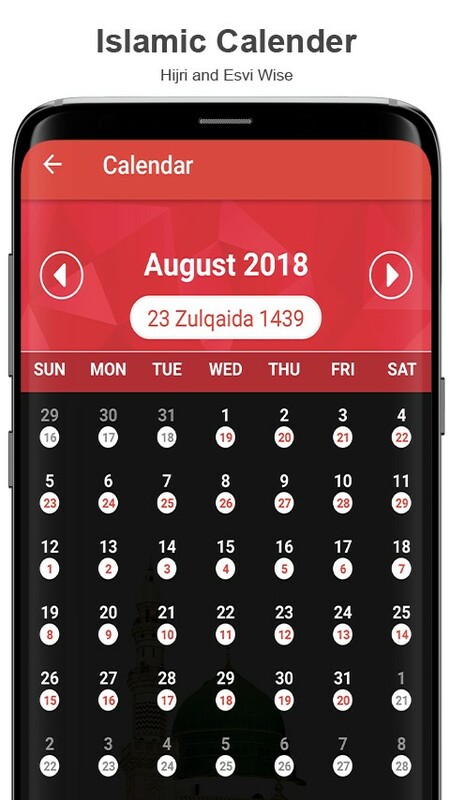 This app is based on the research of Ala Hazrat Maulana Al-Shah Imam Ahmad Raza Khan رَحْمَۃُ اللہِ تَعَالٰی عَلَیْہ. Moreover, app has been designed beautifully with an eye-catching UI. 1. 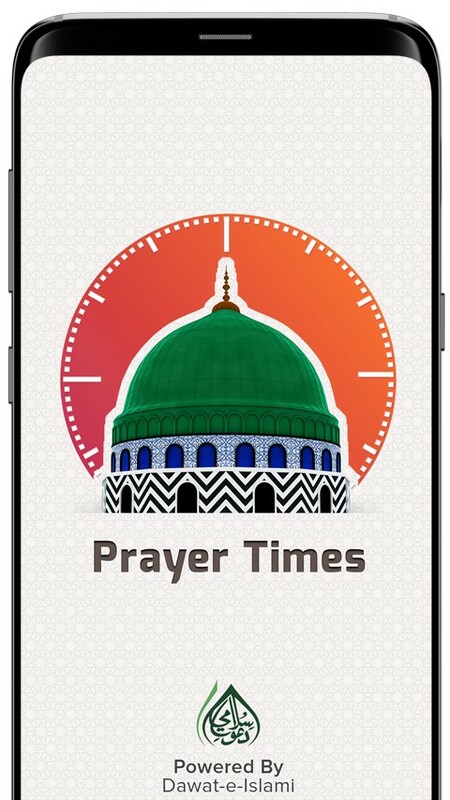 Prayer Timings Alert: With this app you will get the alerts of starting and ending times of each Prayer. a.) Starting Time: Whenever the time of any prayer starts you will get the alert in the form of an alarm and that alarm is the sweet voice of Azan. b.) Ending Time: When the time of any Prayer is about to end you will also be reminded with that in the form of a notification. 2. 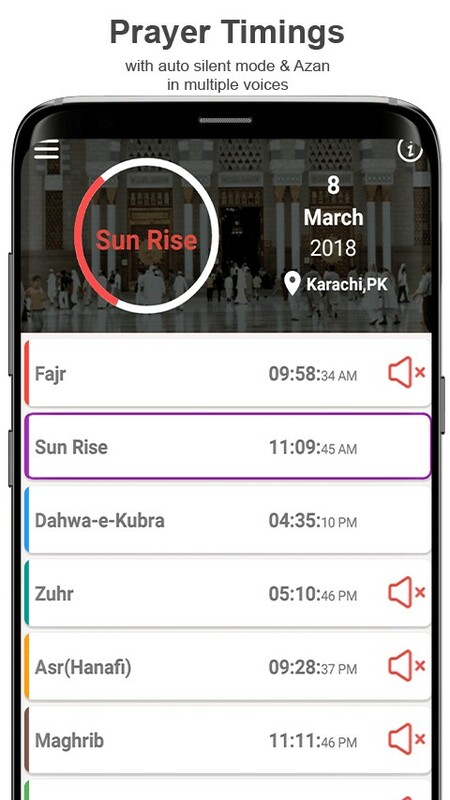 Jama’at Silent Mode: This is a very fruitful feature of this app, with this you can manually set the Jama’at timings of the Masjid where you often perform your Prayer and your phone will automatically go on the silent mode in those particular timings of Jama’at. 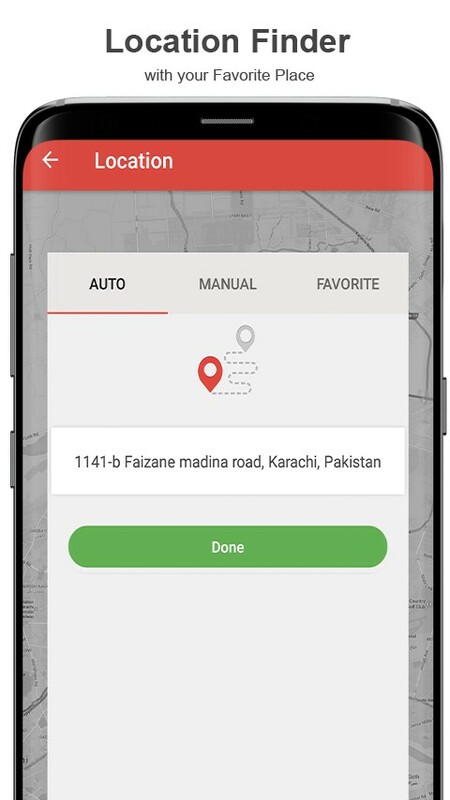 · Application will automatically update the location of your current location through GPS. 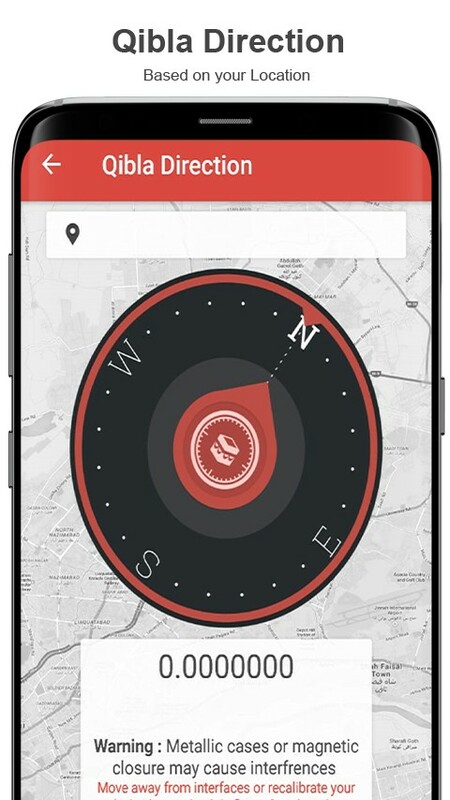 · User can manually set the location as well by adding the longitude and latitude of the location. · You can also make any location as favorite and use it again even without internet connection. 4. 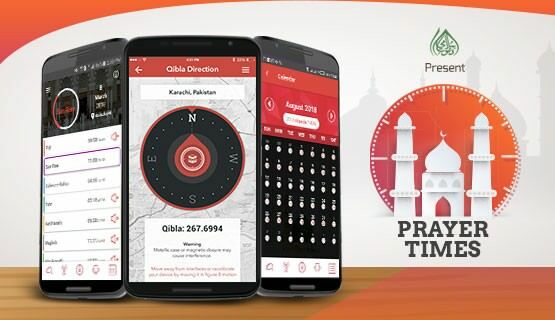 Qibla Direction: With the help of digital compass user can find the direction of Qibla anywhere in the world. 5. Prayer Time Table: With the option of “Month Times” you can view the prayer timings of whole month as well. 6. News Feed: In this feature you can see posts related with the commandments of Prayer and you will receive a notification whenever a new post is added. 7. Live Chat: You can send your suggestions or complains via “Live Chat” option..
8. Different Jurisprudence: User can see the two Juristic timings of Prayer i.e. Hanafi and Shafai. 9. Calendar: You can go to your desired date in both calendars i.e. Gregorian and Lunar. 10. Spiritual Treatment: This application also contains 40 spiritual treatments (Rohani Ilaj) of various diseases and calamities through Asma-e-Ilahi عَزَّ وَجَلَّ. 11. Audio Madani Channel: With this feature you can listen the live audio streaming of Madani Channel. 12. Share: User can share the app link through Facebook, Twitter, Whatsapp and different social media platforms. It’s a user-friendly application so use it yourself and persuade others to make the most of it. You can share your valuable comments and feedback with us at support@dawateislami.net.